Kennedy airport is the main airport serving New York City (In 2007 Kennedy JFK handled 47 million passengers). 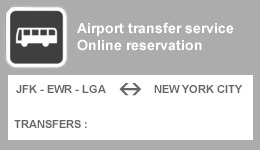 Transfer time between JFK and midtown Manhattan is around an hour but can take longer depending on traffic conditions. Wondering how to go from airport to hotel? Get the right transportation : Airport shuttle service between Kennedy JFK airport and Manhattan is an easy and economical way to move door to door. Please review the selected companies operating dependable and reliable transfers services. 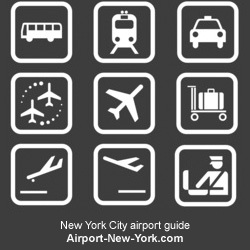 Airport-New-York.com is an independent unofficial guide to airports serving NYC : See airlines operation in each of them, book your transportation to Manhattan Hotels - Compare prices to find the right place to stay in NYC and get the best deals online. Also check the terminals maps to get more acquainted to the terminal of your arrival and ease your way to New York City Center. 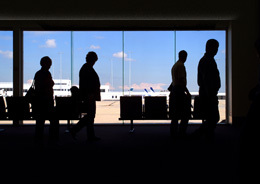 On this page: Kennedy airport transfers.